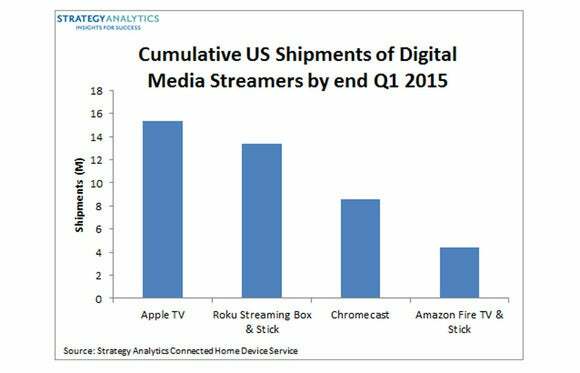 Amazon is a relative newcomer to the streaming hardware scene. Its $99 Fire TV hit the market just a little over a year ago, and the $39 Fire TV Stick is younger still. The e-commerce giant has nonetheless managed to capture a considerable chunk of the market, giving the well-ensconced likes of Apple, Google and Roku a serious run for their money. If the latest shipment numbers from Strategy Analytics are accurate, Amazon was a standout performer in this space in the first quarter of 2015. The research firm reports that the Fire TV products accounted for 30 percent of all shipments in this category in this period. The story behind the story : Being late to the game isn’t necessarily a bad thing. You get that much more time to size up the opposition and suss out the market. And in this particular case, the company has also benefitted greatly from having a strong media ecosystem. The challenge now is to sustain this momentum, and Amazon has looked equal to the task so far. Just last week, it brought GameFly’s $6.99/month cloud gaming service to the Fire TV in a bid to woo gamers to the platform. The success of Fire TV devices shouldn’t be viewed in isolation, though. It is part of a larger sales trend, which saw vendors move more than 3.5 million media streamers in the first quarter of 2015 in the U.S. alone. 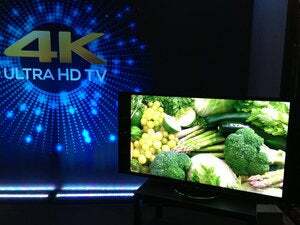 Per Strategy Analytics, media streamers emerged as the most popular form of connected TV devices ahead of smart TVs, game consoles and smart Blu-ray players in the period under consideration. Apple rules the video-streaming box market for now, but the company's failure to update its platform after three years has left the door wide open for newcomers such as Amazon to eat its lunch, according to the market-research firm Strategy Analytics. And when it comes to lifetime shipments, Apple is still the undisputed leader of the American streaming device market with more than 15 million Apple TV units since 2007. Roku is a distant second at 13.5 million units, followed by Google with its 8.5 million Chromecast sticks and Amazon with its 4.5 million Fire TV devices. “Amazon has rapidly established itself as a force to be reckoned with in the living room as it embarks on its mission of bringing its content and retail services to all screens including mobile, PC and TV,” David Watkins, Service Director of Connected Home Devices at Strategy Analytics said in a press release that accompanied the report.